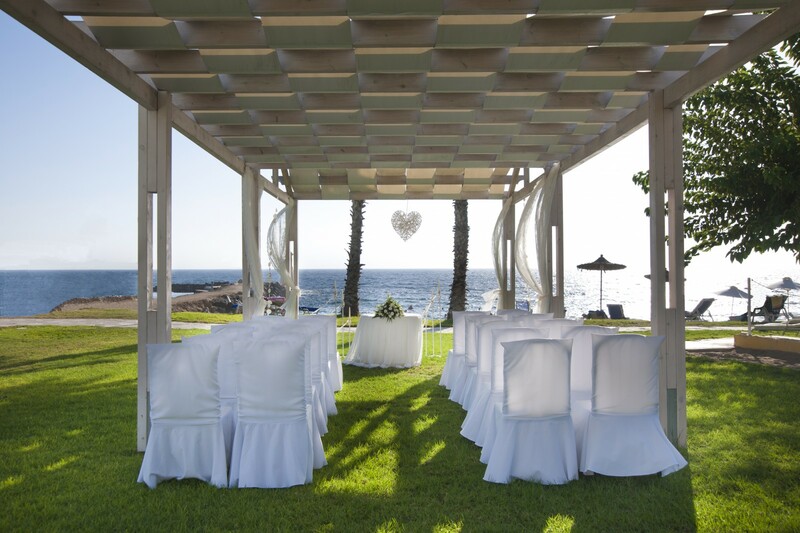 The Louis Ledra Beach Hotel is a Paphos hotel situated on the beachfront overlooking the Paphos coast and its clear Mediterranean waters. 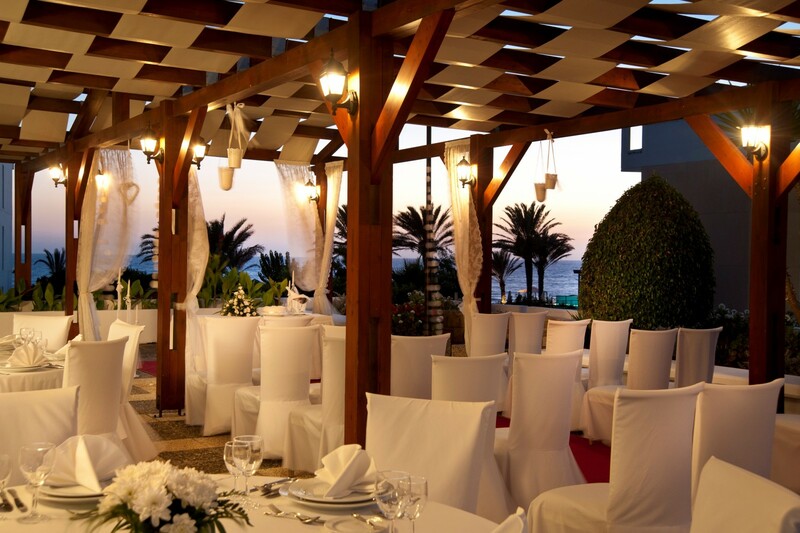 Treat yourself to the premier setting of our 4 star Paphos hotel. 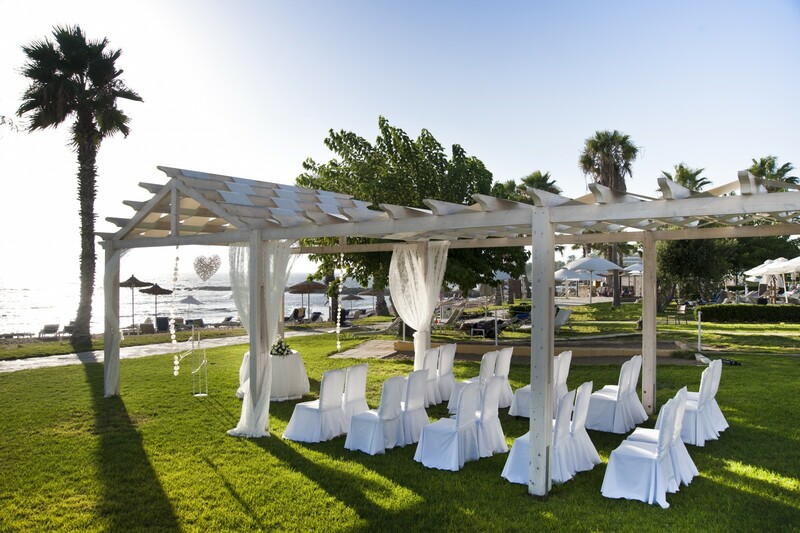 With close range from major historic attractions, shops and entertainment, our family hotel let you easily explore the entire Paphos area and all the beauties it has to offer. After the ceremony, it's time for a toast with your favourite selection of the hot and cold bites. For a private meal with your guests, lunch can be... whatever you prefer! 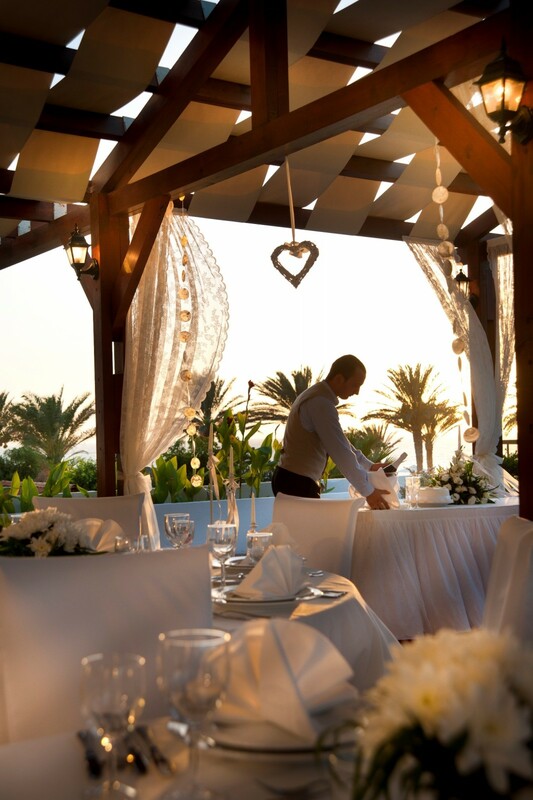 Grills, salads, traditional dishes or an international menu will be created just for you and served indoors in a quiet corner or outdoors near the pool. Whether for 10 or 100 guests, this will be the highlight of your celebration. 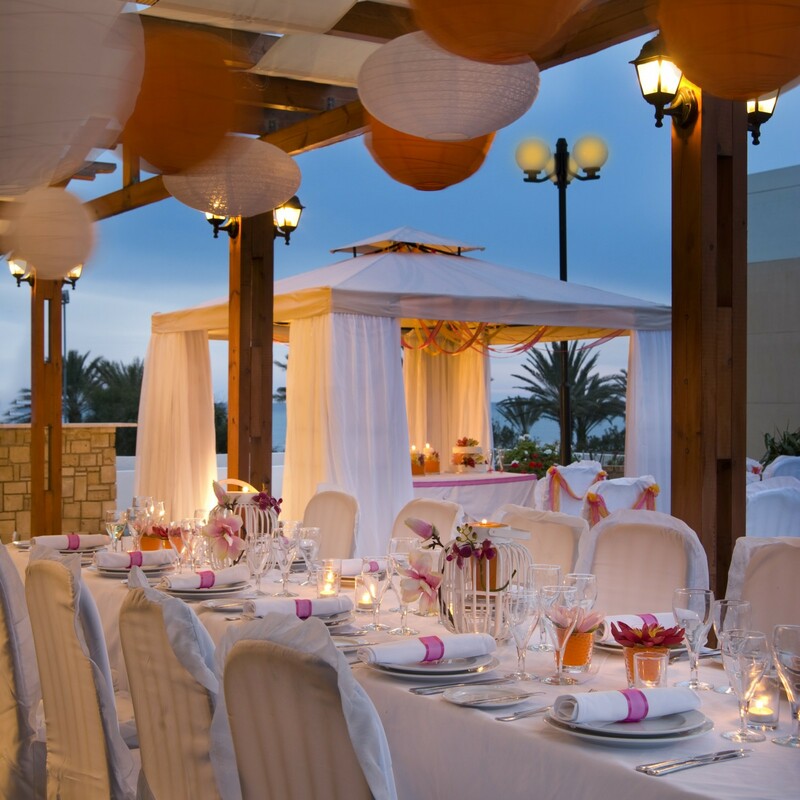 Ask our wedding coordinator for the hotel's gala dinner menus so you can modify the details to taste! 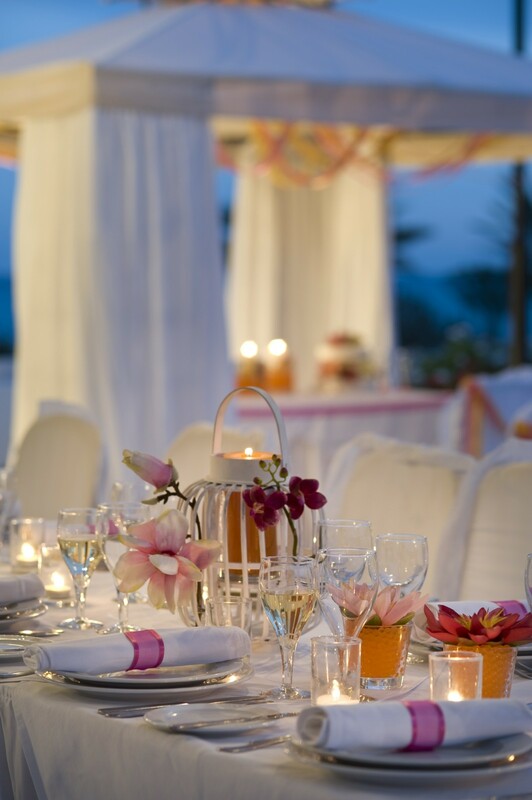 To complete the celebration, our wedding coordinator can arrange musical entertainment of your choice, whether you prefer live music or the company of a DJ. 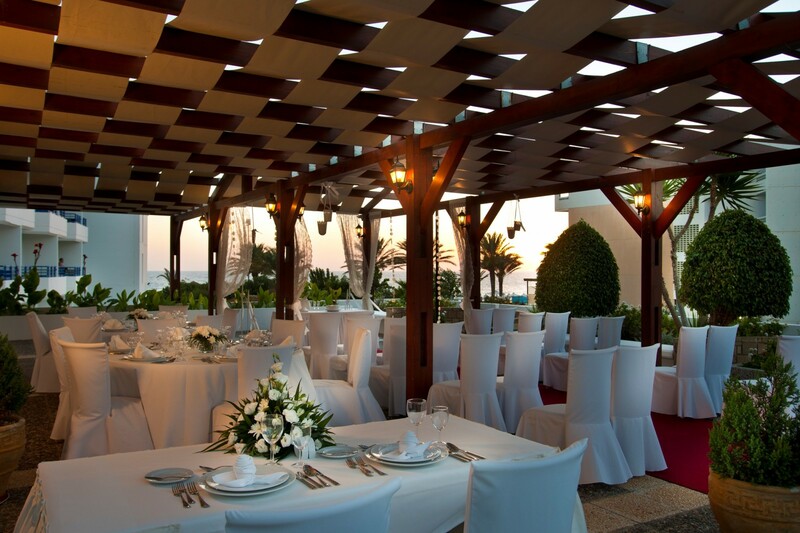 Our wedding coordinators will be pleased to organize your very special day. 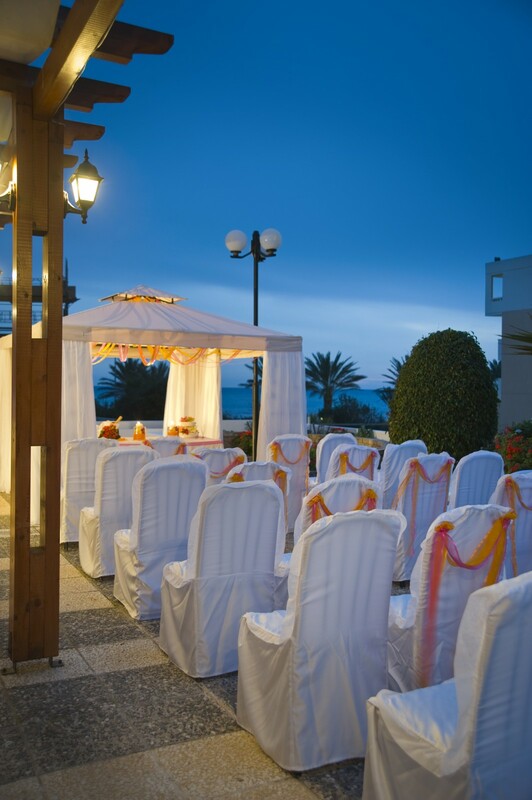 Please visit Louis Hotels Weddings website for more info. For further information and quotes for a tailored service please fill in the contact form. 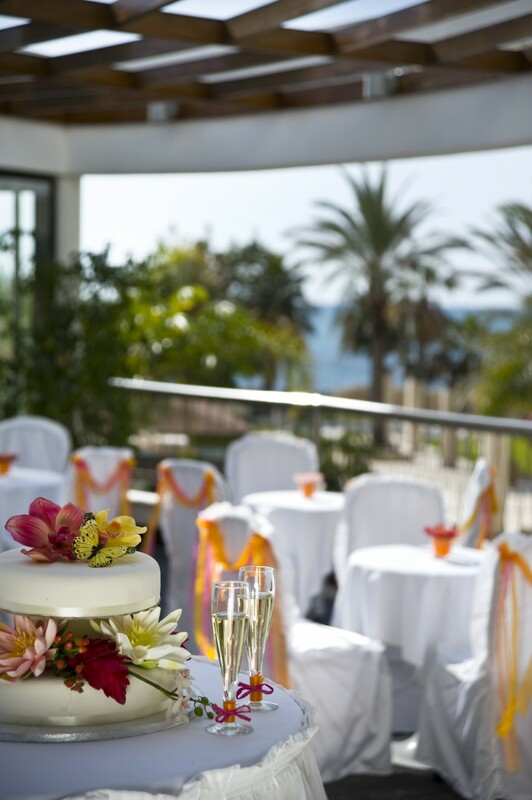 Our wedding planning team will be delighted to do their utmost to make your special day a truly memorable one.